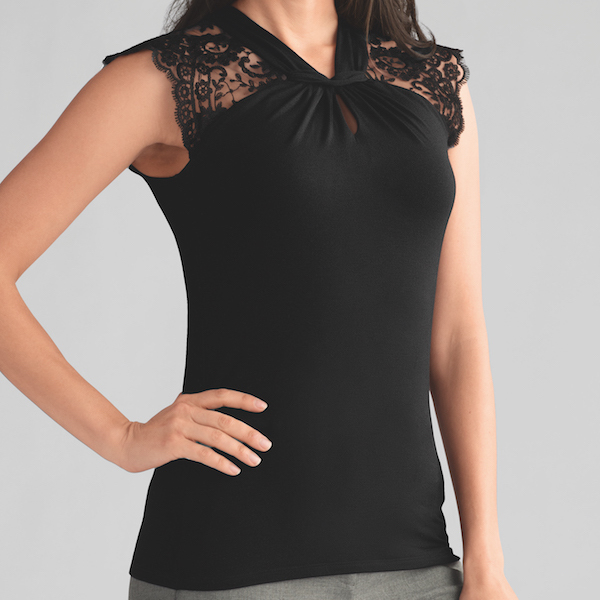 For a dinner party or business event, our beautiful Embroidery Top with its built-in shelf bra is a stylish choice. 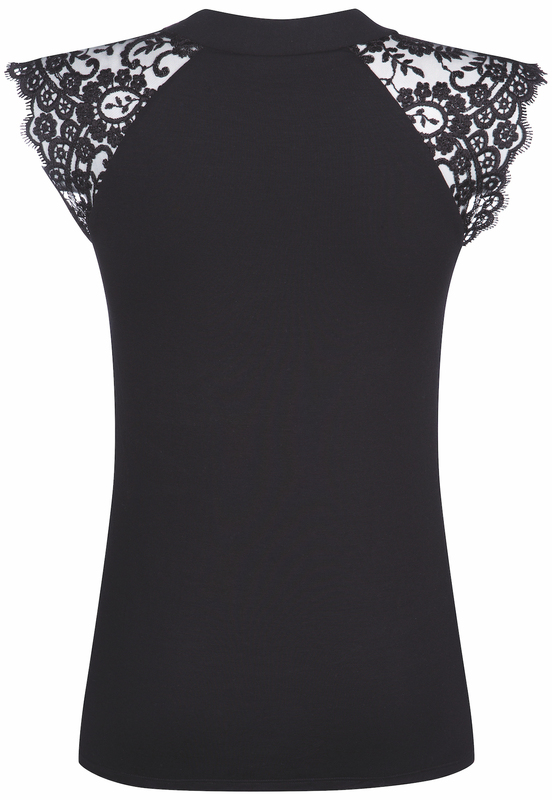 Almost sleeveless, the shoulders are covered in a very feminine embroidery that looks elegant and sophisticated. And with the Embroidery Top, you won’t have visible bra straps under the embroidery, because the bra is integrated into the top. It’s soft with lightly padded cups to create a smooth silhouette and support your breast form or breast shaper comfortably. This charming top also features a figure-flattering drapery effect in the centre and a slim fit at the hips.